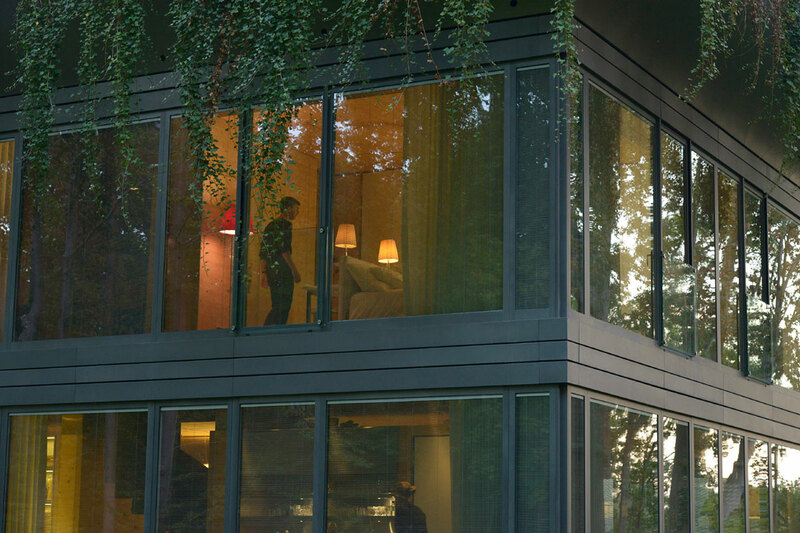 Starck with Riko represents a new line of prefabricated sustainable houses designed by world famous designer Philippe Starck and produced by Slovene wooden house manufacturer Riko. 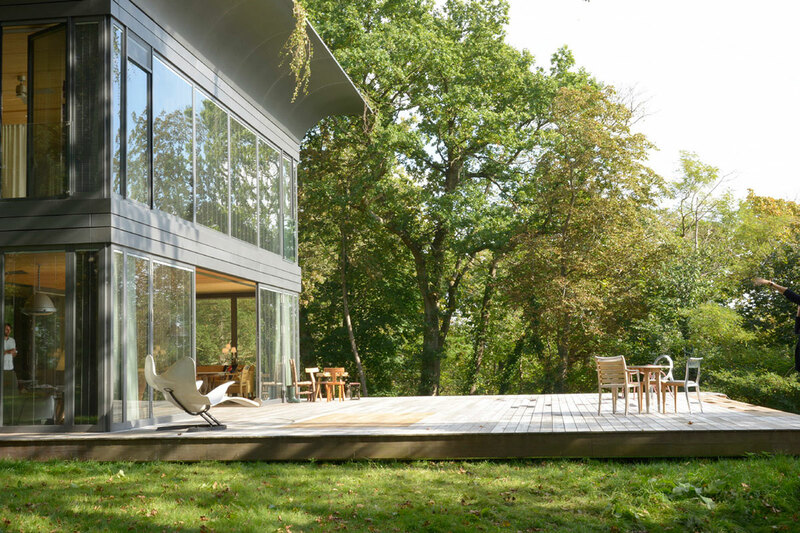 Democratic ecological architecture merges top-level design with individual needs of the clients, resulting in environmentally-friendly houses with low energy consumption and maximum comfort. The layout of the load bearing structure of the prototype was derived from the basic concept. Cross columns and beams with visible bottom flanges form a bi-directional moment frame system. Since they provide sufficient lateral stiffness, no bracings typically used in conventional steel structures are required. A stiffened plated girder is attached to the perimeter beams. 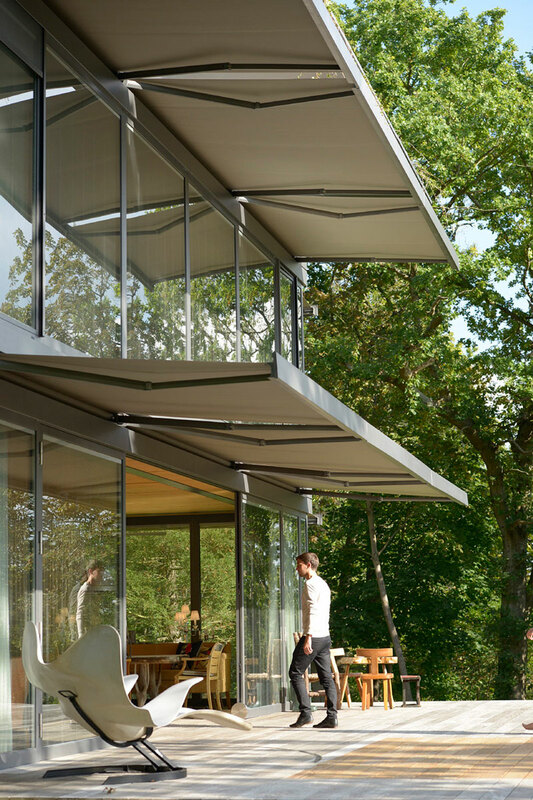 It provides support to the glass façade and offers a discrete space for an automated mechanism of the linen awnings. Ceilings are made of glue-lam panes strengthened with a two-way system of timber rafters, allowing for a relatively simple installation of MEP ducts. The bottom surfaces of the ceiling panels are visible. Special attention was given to treatment of steel element surfaces that are to remain visible throughout the entire life span of the building, i.e. the columns, bottom flanges of beams and the entire spiral staircase, made of thin steel plates. 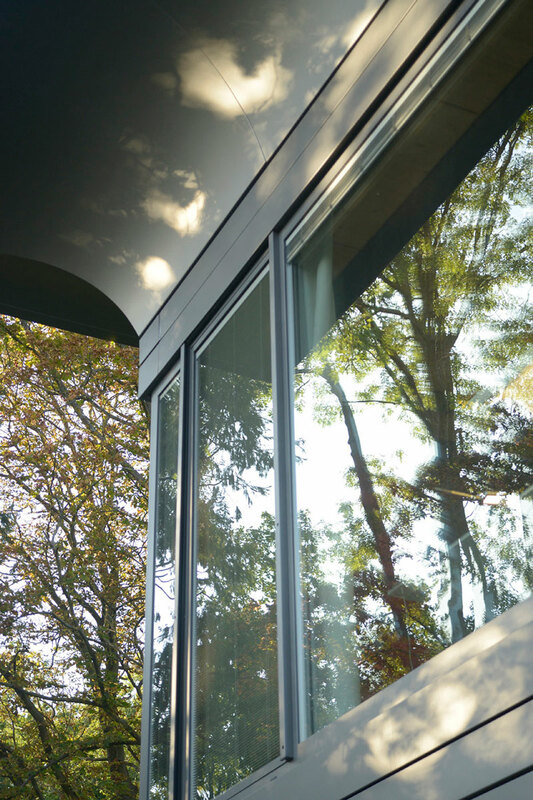 All these surfaces have been carefully sand blasted and protected with transparent coating, which preserves a visible texture of the steel, thus providing a unique aesthetic effect. 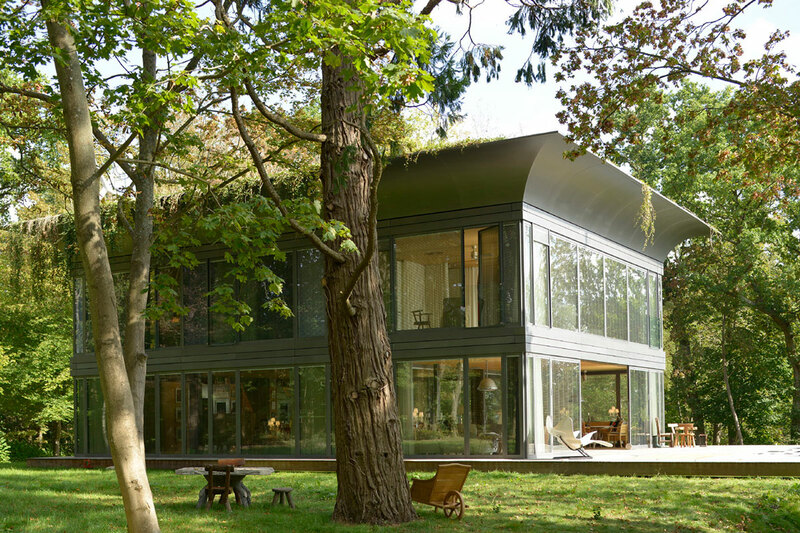 Project typeResidentialLocationVersailles – Paris, FranceAreaLiving area 375 m2, basement 214 m2Year(s)2009–2012ServicesPrototype development, building permit design, execution designArchitectureAuthor: Philippe Starck; Architect: Real Engineering d.o.o.InvestorRiko Invest d.o.o.Photosarhiv Riko Invest d.o.o.